What Questions Do You Live By? 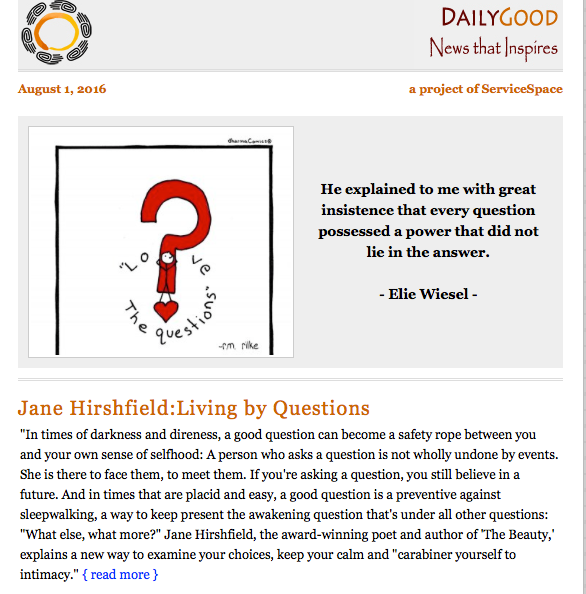 Daily Good: News that Inspires is something I try to read everyday. It seldom disappoints and frequently comments on a subject that is very near and dear to my message. The expansion of my own thoughts is so valuable and affirming. Here is one I found particularly profound. Read more here. This is too good not to share and give a permanent place in my blog. I hope you find it meaningful.